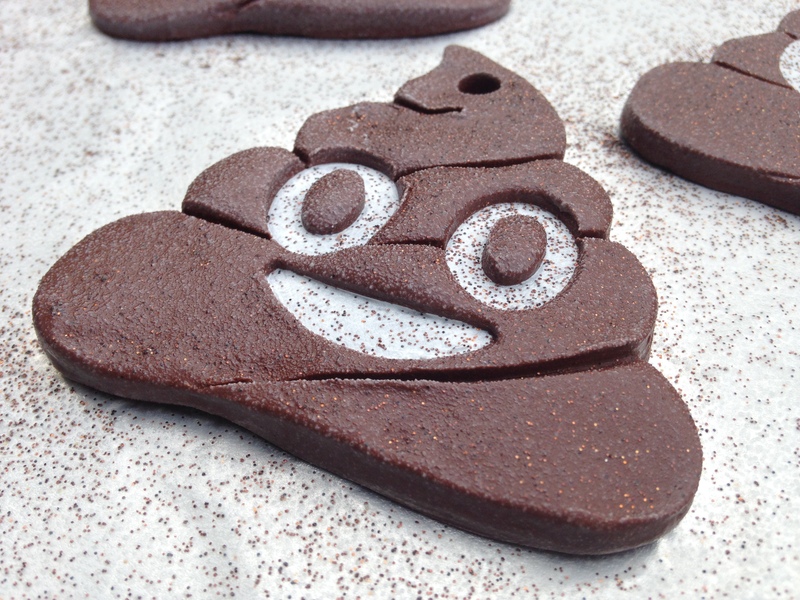 When I saw the Buzzfeed article 6 Easy Holiday Gifts You Can Give Everyone in Your Squad, I knew that I must realize my dream of creating poop emoji Christmas ornaments. Unfortunately I didn’t see this article until December 22nd, so I made them the Wednesday after Christmas. Womp womp. Additionally, I somehow managed to delay the posting of this until February. Also womp. 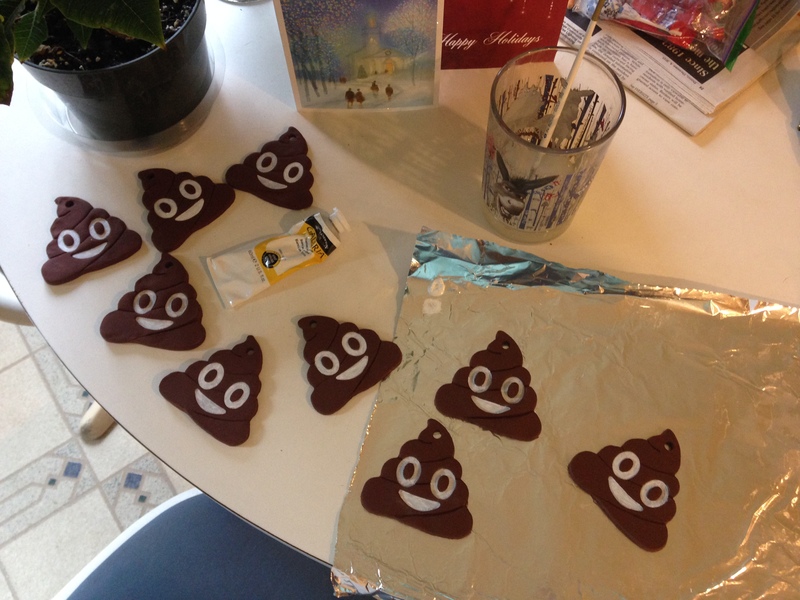 However, because I spent most of an afternoon purposely turning Sculpey and glitter into twinkly poops, I feel that I now can share some helpful photos with you should you choose to embark on the same adventure. Click the photos to enlarge. 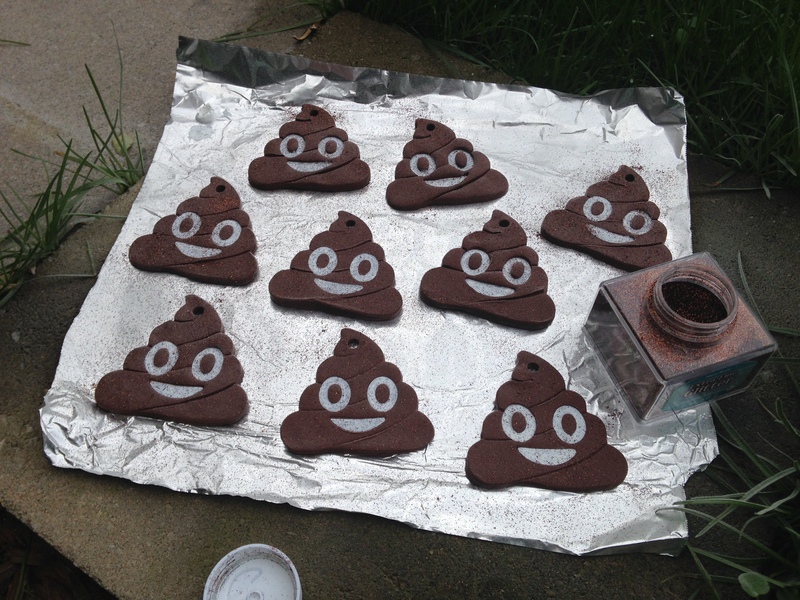 The instructions showed eyes and smiles made out of white Sculpey. Instead, I decided to paint them on. I did this prior to applying the adhesive and glitter. 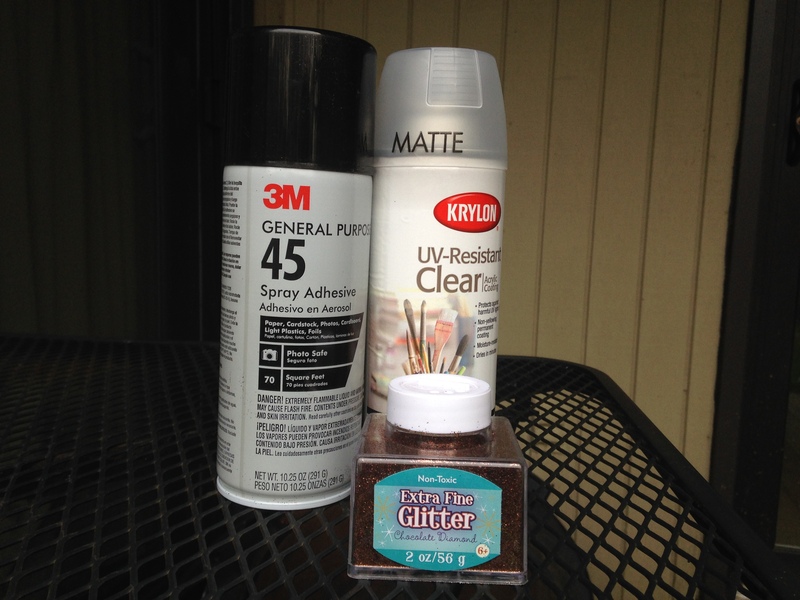 Don’t waste $8 on Martha Stewart glitter. 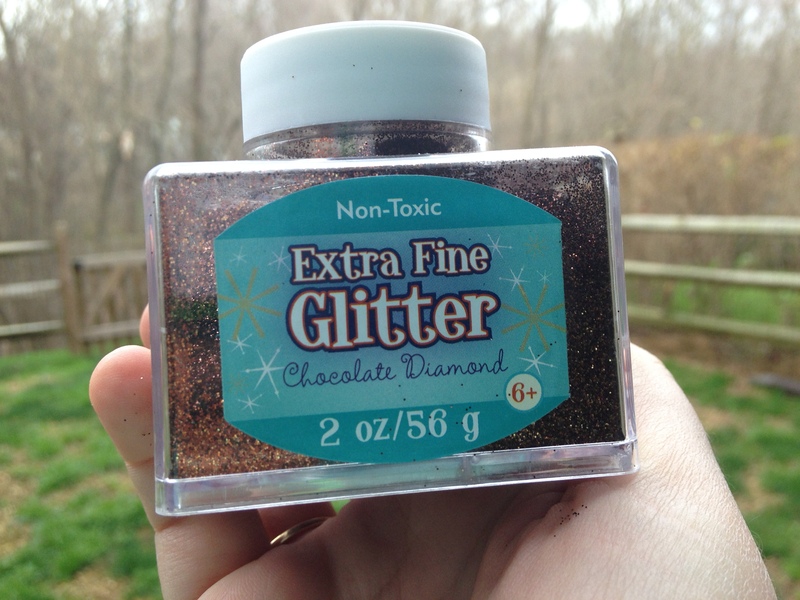 Glitter is glitter. Spray with several light coats of adhesive. Then lightly sprinkle the glitter on and allow the adhesive time to set. Follow with clear coat after the adhesive is dry. Complete these steps outdoors or in a well-ventilated area. See the next photo for more spray adhesive tips. 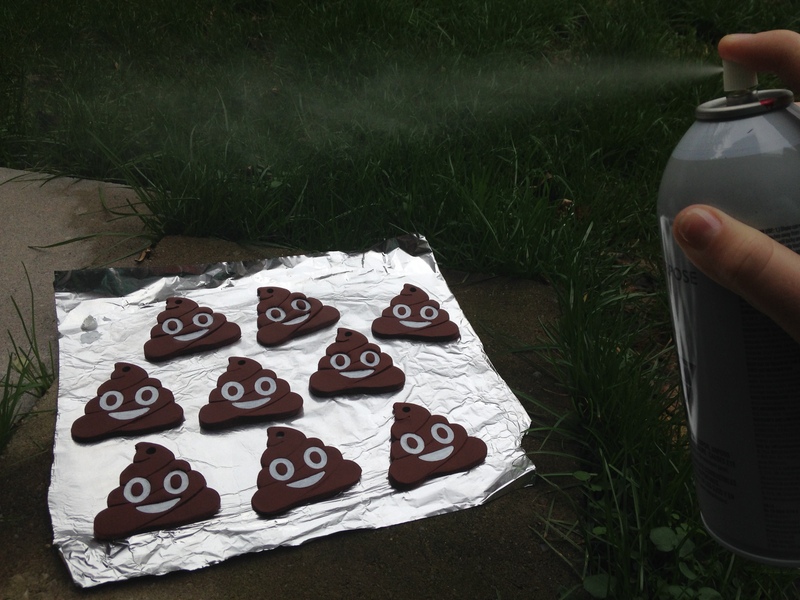 When you use spray adhesive, it is better to hold the can away and do a few light coats than to aim the can directly at the poop.